Our History - Les Wilson Inc.
Leslie F. Wilson, the founder of Les Wilson Inc. was born in Severy, Kansas in 1898. In 1911, at the age of 25, Mr. Wilson started his career in the oil business as a tool dresser in Muskogee County, Oklahoma. From 1911 through the 1920s, the Wilsons traveled from field to field, back and forth between Kansas, Montana, Wyoming, and Canada, following the oil booms. 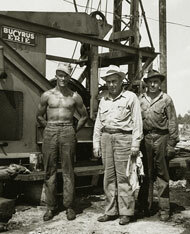 Les formed L.F. Wilson Drilling Co, in Salem, IL in 1940. In 1946, Les Wilson Inc. moved operations to the current location in Carmi, Illinois. 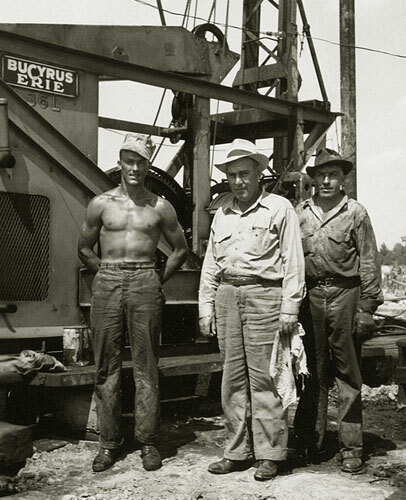 Currently, Les Wilson Inc. is focusing on horizontal drilling all over the United States with major work being done in Pennsylvania, Illinois, Michigan, Oklahoma, Indiana, and Kentucky. We use the wealth of knowledge and experience we have gathered over the past seventy years to our customers' advantage. We are justifiably proud of our safety record, and we attribute this, in large measure, to our maintenance program and to the cleanliness of our equipment coupled with a strong sense of dedication from the members of our crews. We at Les Wilson Inc. look forward to the future and to serving the oil industry in an expanding universe.